Inspired by the Eames Elephant, Hella Jongerius designed the Elephant Mousepad for Vitra. The practical companion at the PC shows the famous Elephant from Charles & Ray Eames and it consists of two leather layers. The pad enables safe navigation at the computer monitor. 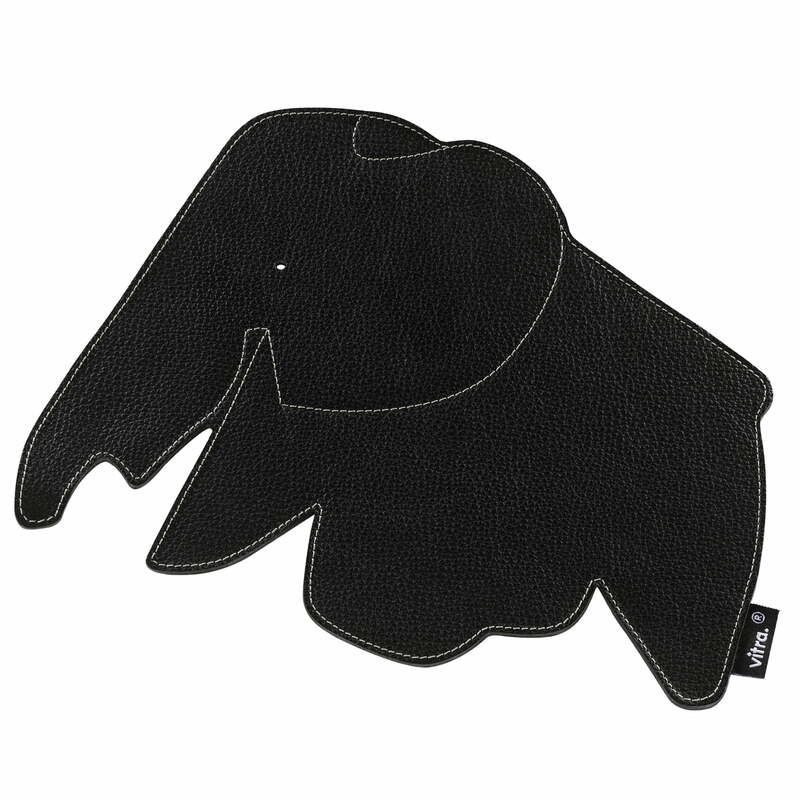 The production and the material are Vitra-typical quality and the design of the Elephant Mousepad unimpeachable. The Mousepad shows the famous Plywood Elephant of Charles & Ray Eames out of the year 1945. With its distinctive forms it is not only one of the most famous objects of the design married couple, but also a recognized design classic. Initially the Elephant Mousepad was exclusively available in the shop of the Vitra museum where it soon became a top seller. Because of the high success, Vitra took the pad into its regular assortment. 135 of 277 customers have found this review helpful. 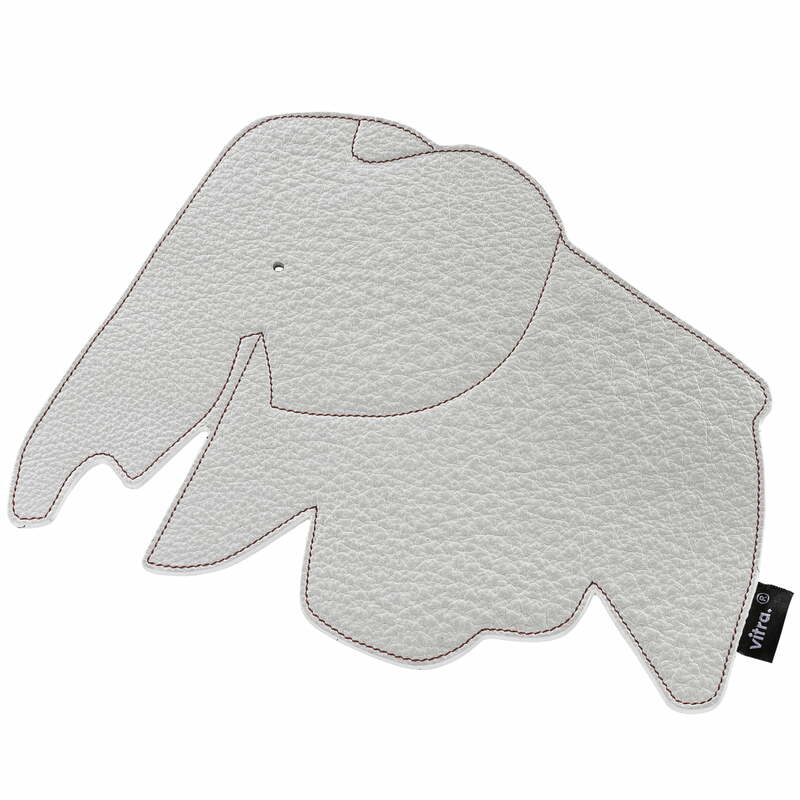 Vitra-Elephant mousepad - snow: The Vitra-Elephant mousepad snow stands out beautifully on a table. 115 of 236 customers have found this review helpful. I have changed several times the mouse-pad, but from now on I will age the skin of this beautiful new pad! 31 of 69 customers have found this review helpful. The classic design could make you have the good mood when you use your mouse on your desk. The cute elephant let me fun.